For more than 30 years Art Anderson Associates has provided engineering and design services for renovation, modernization, repair and new construction of industrial, commercial, residential, and civic facilities. 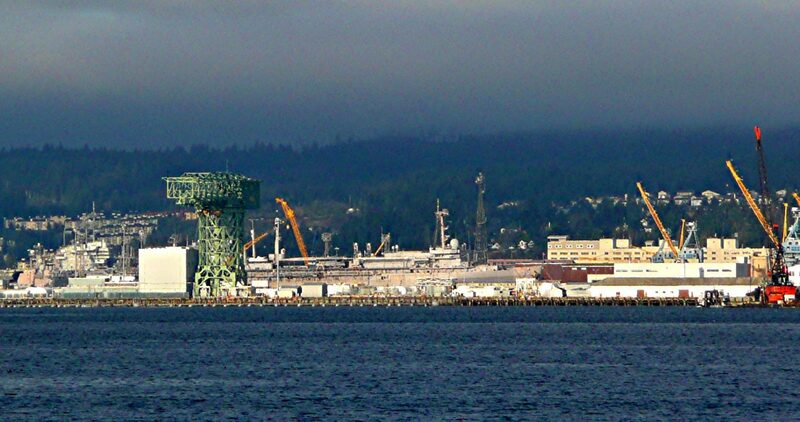 Art Anderson Associates is designing a piping system to replace the main saltwater distribution system for the Puget Sound Naval Shipyard. This system includes primarily 20” ductile iron piping that runs along the shipyard waterfront. Runs of this system, which extends roughly 2,000 linear feet, include in ground, in water, and under pier piping. Art Anderson Associates’ scope of work includes design drawings, calculations, specifications, basis of design, construction support, and record drawings. As part of a design-build team responsible for renovating two Bachelor Enlisted Quarters (BEQ) facilities at Naval Base Kitsap-Bangor Art Anderson Associates performed mechanical, plumbing, fire protection and electrical engineering design and LEED Consulting services. Both BEQs were designated as LEED Silver. Serving our local community is something we take great pride in. Art Anderson Associates has worked with the Bremerton School District for decades. These projects include classroom modifications, ADA restrooms and upgrades, modifications to kitchens, upgrades and additions to shop spaces, and covered play shed structures. We also provided the design/construction drawings for modifications to relocate the district central kitchen along with mechanical and electrical modifications. Additional projects with the district include kitchen, laundry, restroom, and HVAC modifications at multiple schools throughout the district. Art Anderson Associates provided multi-discipline waterfront engineering services for the plans, specifications, and design-build documentation for the expansion and final outfitting of the multi-vessel berthing, maintenance, and passenger terminal facility. Art Anderson Associates’ has a task-order-based contract for architecture and engineering services with Lockheed Martin to plan and manage dozens of large and small projects. Assignments include design modifications, upgrades, additions, and inspections to support facilities at Naval Submarine Base Kitsap – Bangor. Art Anderson Associates was the Designer of Record coordinating all design consultants’ efforts on this design-build contract to provide Energy Conservation Measures (ECM) for Buildings 58, 495, 1106, 1195, and 452 at Naval Base Kitsap. The ECM included providing high energy efficiency equipment, equipment that allows conservation of potable water, and equipment that controls energy use. From the post award kick-off meeting through construction administration services, Art Anderson Associates facilitated the design process for architectural and mechanical, electrical, and structural engineering services. Art Anderson Associates provided construction management services for NAVFAC NW. Our scope of services included assistance with the planning, design, construction, and post construction phases of various projects. These included five diverse facilities: The Explosive Handling Wharf 2, the Pure Water Facility, the Waterfront Operations Building, Building 7125 Hardening, and the Intermediate Maintenance Facility. We are performing submittal reviews and approvals, preparing technical analyses backup for modification packages, preparing for commissioning phase, as well as other support services requested. In a joint effort with the Golden Gate National Parks Conservancy and the National Park Service, Art Anderson Associates designed and managed a total of eight buoys to demark sensitive natural resource areas in the San Francisco Bay area. Buoys were placed around Alcatraz Island and Crissy Field in preparation for the America’s Cup yacht race. 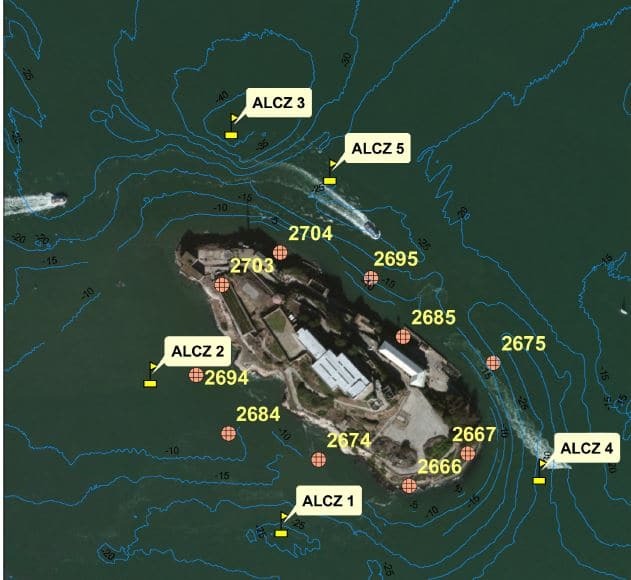 A preferred, cost effective buoy and anchor system for each of the eight proposed locations were designed as each buoy had an independent mooring system and needed to be strategically spread and set at a distance of 300’-500’ off the coastline. Buoy system recommendations were based on NPS project goals, environmental and site conditions, Optimoor modeling, and a trade-off analysis of viable buoy system alternatives, as well as the additional criteria for buoy watch circles. Art Anderson Associates holds an on-call engineering contract with the Port of Bremerton and has provided engineering for multiple projects at their Puget Sound Marinas. Art Anderson Associates was hired to help the Port of Shelton with a multi-phase project for master planning and design efforts for their Oakland Bay marina. Engineering disciplines and other technical areas include bathymetric surveying, stormwater and sediment solutions, permitting, grant funding, and construction support. To date we have assisted the Port with a new dock design for the Southern portion of the marina. 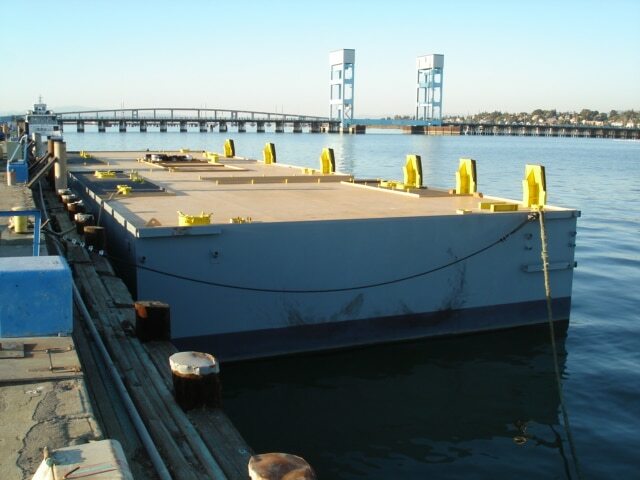 This tasking involves a thorough evaluation of the existing dock, concept replacement design, and final plans, specifications, and cost estimates for construction. The dock design has roughly 600 linear feet of pathway, multiple finger piers, and 40 pilings providing utility services to all moored vessels. We are also assisting the Port of Shelton with developing a master plan for the future marina layout, detailed negotiations regarding land transfers to enable expansion of the marina, and construction of a new breakwater. The land transfers involve contaminated properties, which are in various stages of remediation. The land transfers will enable the Port to transform both the upland and marine facilities into a beneficial amenity and a source of employment for the region. Development of the new breakwater involves a multidisciplinary team including, civil, structural, electrical, mechanical engineers and naval architects from our internal staff and subcontractors, including geotechnical engineers, environmental engineers and scientists, expert grant writers, and hydrodynamic specialists. Upland improvement includes design and construction of a new shoreline bulkhead, along with dredging and filling that will reshape the coastline and improve coastal environmental effects of this portion of Oakland Bay including several streams that feed into it. The master plan will include a complete financial analysis and capital improvement/repair/maintenance program for the marina cost center. Permitting will address both long term (5 – 10 year NWP-3) permitting requirements, and full-scale NEPA documents in support of building new in-water infrastructure in navigable waters. 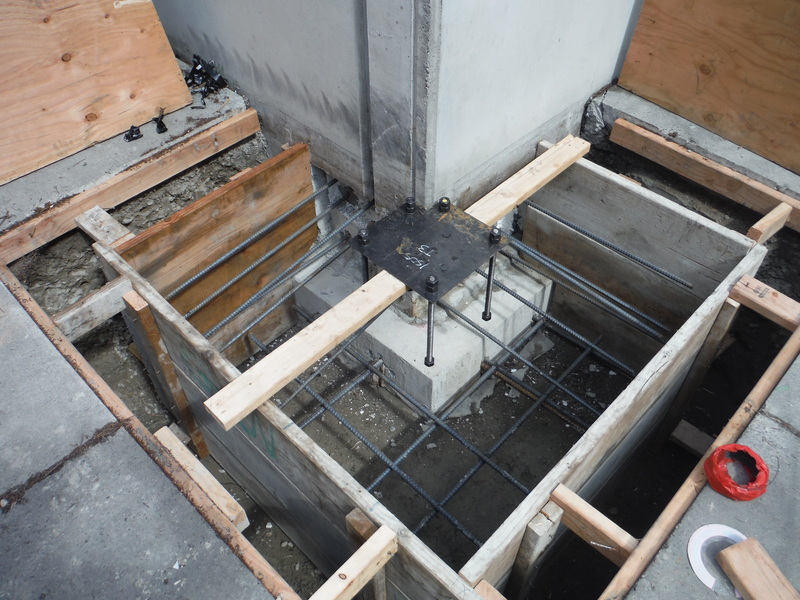 Art Anderson Associates’ engineers conducted an on-site visit to confirm the design and repair requirements necessary after damage to Pier 48 on Seattle’s downtown waterfront. Art Anderson Associates performed the necessary calculations and produced a repair plan for Seattle Tunnel Partners. 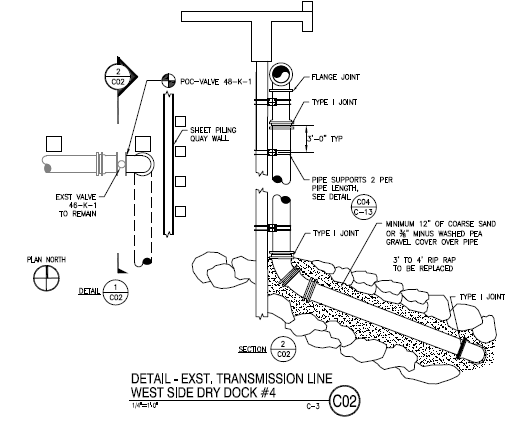 The repair plan included drawings and specifications with a goal to eliminate the safety risks to personnel and the pier. This was done by stabilizing the structure, installing a safety barricade on the deck, and ensuring the existing fire protection system was fully operational. Art Anderson Associates was responsible for the structural design, defining environmental loading criteria, establishing structural criteria, estimating loading on facility alternatives, mooring/anchorage design, and the preparation of all associated drawings and project documentation. This project replaced a deteriorated mainside Ship Wastewater Collection Ashore Abatement System (SWWCAAS) force main. Art Anderson Associates completed all design of a temporary bypass system followed by design for removal and in-place replacement of the existing force main alignments with ceramic epoxy lined ductile iron pipe. The temporary bypass system was above ground (on-grade) to the extent practical, with portions buried at roadway crossings, driveways, walkways, and other important above-grade features. Art Anderson Associates provided design and construction support to replace 7,800 linear feet of buried wastewater force main piping. The new system consists of 10”, 12”, and 14” diameter lined, ductile iron pipe with mechanical joint fittings and concrete thrust blocks for restraint. Polyethylene encased piping was used for corrosion protection. Temporary wastewater force main services were designed and built using high density polyethylene piping to maintain operations during reconstruction of the permanent force main. The project also involved collection, abatement and disposal of petroleum contaminated soil and groundwater encountered during excavation.